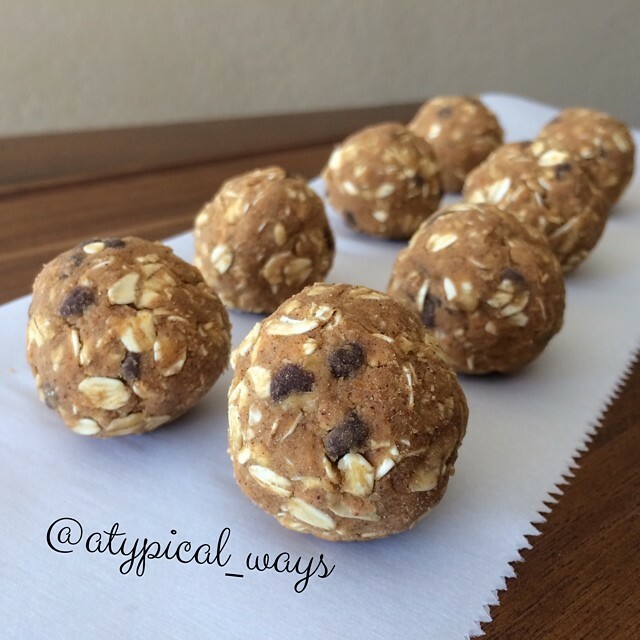 ‘No bake/Gluten Free’ Pumpkin & Chocolate Chip PROTEIN Bites! WARNING these are super easy to make & highly addictive! I’ll give you a little tip on one of my favorite ways to eat this dough. I like to roll it into really small almost marble sized balls and eat it in a small bowl with 1/2 a cup of unsweetened vanilla almond milk. So good & kid approved! Mix all ingredients together in a medium sized bowl (I typically use my hands and work it like a dough) & then roll into desired sized balls! Store balls in an air tight container in the refrigerator. Preferably in the back where you can’t see them or I promise you will eat one every time you open the refrigerator door! « Banana & Peanut Butter Toast Towers!